A magnifier, or jeweller's magnifying glass, for inspecting fine details such as the cutting edges of tools may seem to some an unnecessary luxury, but when you are in the habit of using one, you will never want to be without it. Take a look below! 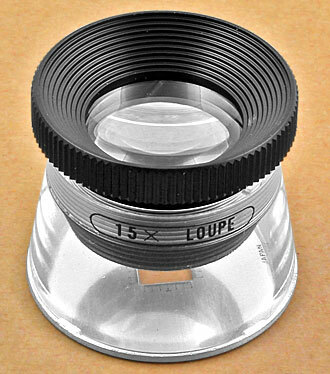 This folding lens made of plastic has 3 fold-away lenses each with a 3.5x magnification. 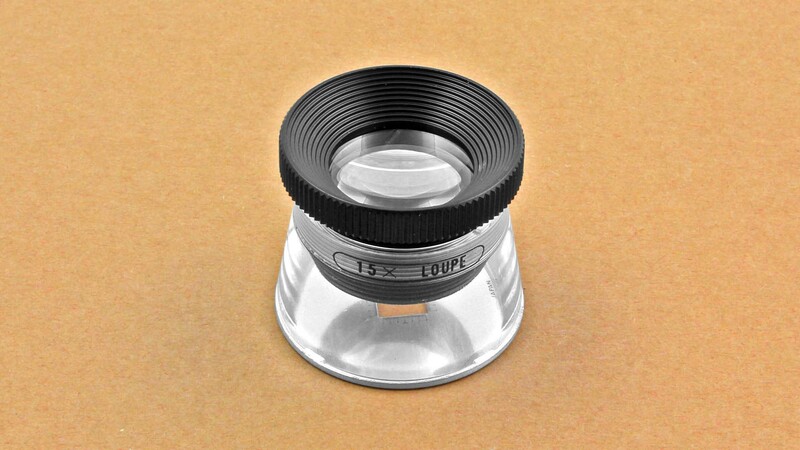 Superimpose the lenses to obtain either 7x or 10.5x magnification. Made by Shinwa in Japan. 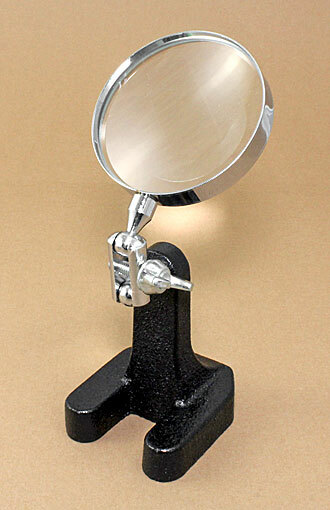 This stand magnifier with its heavy cast-iron base is ideal whenever an object has to be inspected at leisure. The 3x magnification suffices in many cases and has the benefit that the eye is less irritated compared with a high-magnification lens. The adjusting mechanism with wing nut supports multidimensional adjustment in height and depth. 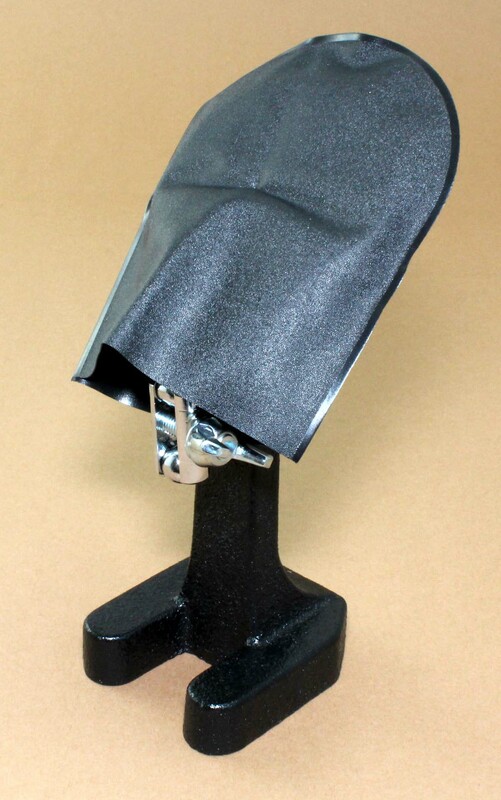 Supplied with plastic dust cover. 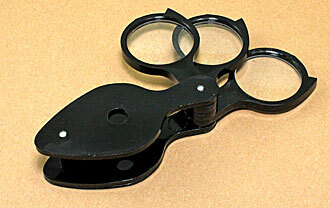 This high-quality folding magnifier made in Japan has a 25 mm diameter lens. The 6x magnification is ideal for inspecting the sharpness of cutting edges or intricate assemblies. The base plate has a millimetre scale. The solidly built aluminium frame is black anodised. The focus of this small base magnifier with a plastic housing is adjusted by rotating the black lens mount. 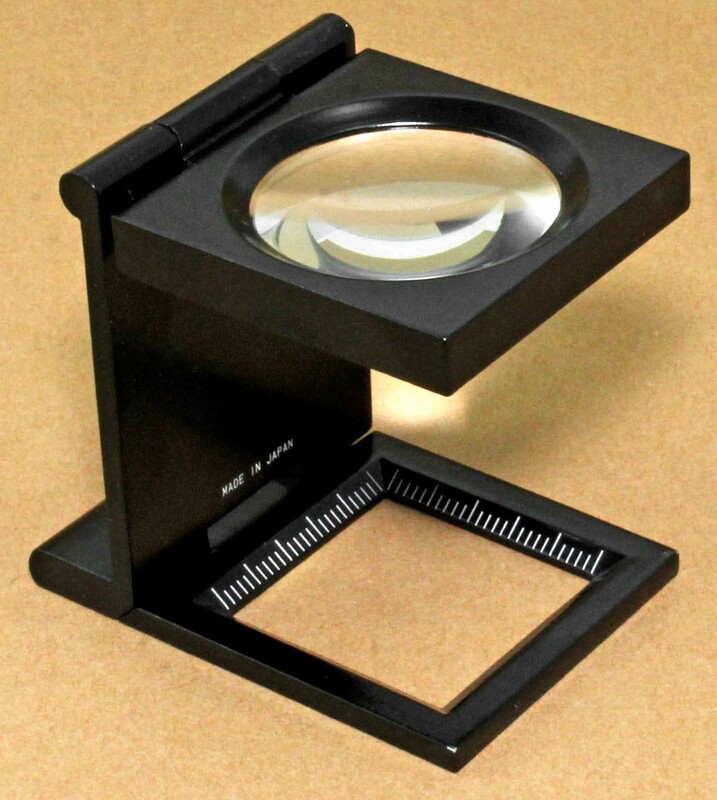 With the magnifier placed on the object you want to inspect you will always be able to work at the optimal distance to the lens. The underside of the transparent round conical base is closed except for a 7 x 7 mm square. Inside the base along the edges of the square either side of the central zero position there is a 3 mm long scale with 0.1 mm increments. Click on the image to see an enlarged version of this scale.